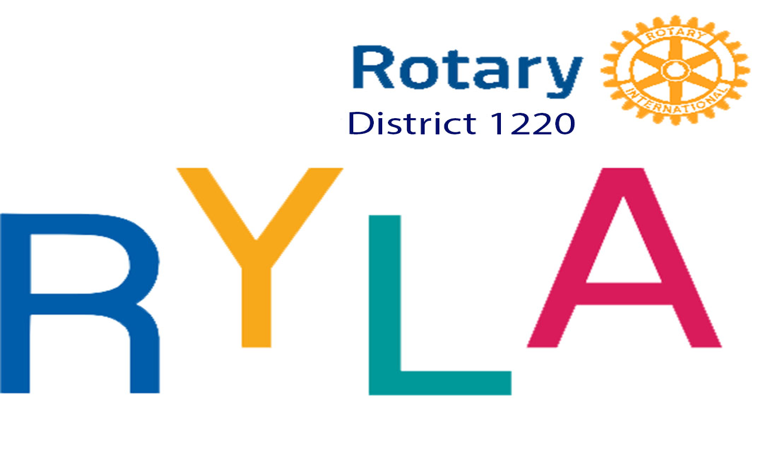 The next RYLA weekend course at Whitehall, Buxton will be held from Friday, 17th to Sunday, 19th May, 2019. The cost of the course is £175 per student. Attendance at this Whitehall Centre RYLA is available to students who at the time of the course are 14 to 16 years of age. This course is not a holiday. It is a fairly strenuous outdoor activity based training experience. Activities normally include rock climbing, caving, canoeing, abseiling etc. They are designed to develop students’ self-awareness, public speaking, team building, leadership and other skills. There will also be indoor activities with the same aims. All aspects of the course will contribute towards these aims. All specialist equipment that is required for the activities will be provided by the Centre. Rotary Clubs are responsible for interviewing all potential candidates that they wish to sponsor and for payment of the appropriate fee. Completed Application Forms and payment should be sent to Rotarian Dave Ashley, Rotary Club of Belper and Duffield. Any queries regarding the Whitehall RYLA courses may be addressed to dave.ashley782@hotmail.co.uk or Mobile 07738 552178. Any Rotarians who may be interested in assisting at this course should in the first instance contact Rotarian Dave Ashley (details as above) to discuss the requirements and opportunities. Copies of the Job Description and the Person Specification for Rotarians carrying out overnight supervision duties are available on the website. What does RYLA do for youngsters? Why should Rotary Clubs sponsor students on RYLA ?? The training that students receive on Whitehall RYLA courses is mainly, but not exclusively, based on outdoor pursuits, such as rock climbing, caving, abseiling, canoeing etc. Such activities often stretch individuals and make them address their own personal fears. For example many people have a fear of going underground or a fear of heights. Through training, a confidence in their instructors and equipment, the encouragement of their peers and trainers, students are normally able to overcome their fears. These personal achievements cannot be over-estimated. When taking part in activities students are in turn required to act as the “team leader”. In doing so they have to take into account the feelings, ideas and thoughts of the rest of their team. They are encouraged to discuss these issues during each session and to identify the lessons they have learned. Students are also constantly encouraged to consider how their own actions, words and behaviour affect others. Students are not allowed to keep their mobile phones during the course. A result of this is that we see a steep increase in personal interactions between them. The course aims to develop self-confidence and self-reliance by placing students in unfamiliar situations and carrying out activities that they otherwise would not have. There have been many examples of how students have “blossomed” during the courses. At the end of each day all students have to contemplate what they have achieved during the day and then complete a feedback form showing their personal experiences of the day and what they have learned or gained from the day’s sessions. Even undertaking the initial interview to secure a place on the course can have really beneficial results, not just in terms of communication skills and assisting in future job interviews but also in terms of general confidence. As an example the parents of a girl who was interviewed by a Rotarian and a teacher for a place on the last course later told the Rotarian that since the interview (many weeks before the course) her daughter was a different person, much more confident at home and at school, volunteering for things that previously she would have completely shied away from. She went on to grow in confidence and played a significant part in the subsequent course. As an integral part of the course all students should be asked to attend their sponsoring Rotary Club to talk about the nature of the course and what they personally gained from it.